3. Kaki extracts to lift facial contours. The texture is so featherlight and fresh, it brings an immediate feeling of well-being that instantly enhances the “lift” effect. My skin felt as though it was slightly tighten yet still left feeling soft and not the least sticky/greasy – you know I how much I shun products like that. 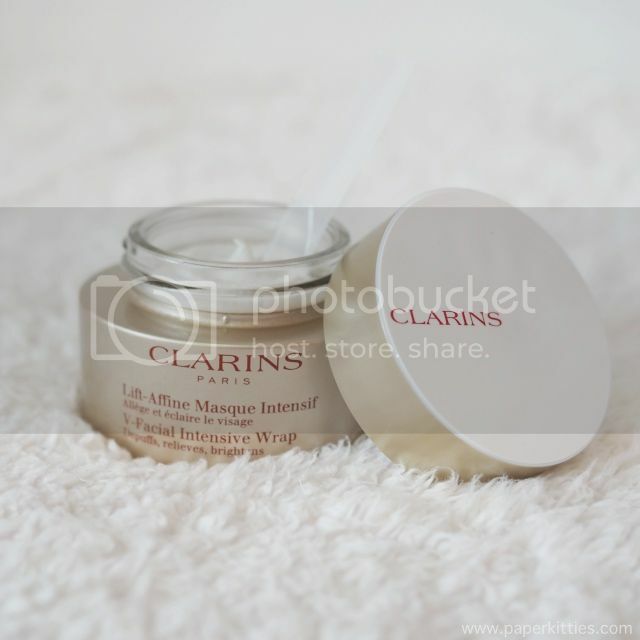 Of course, I would say that most of Clarins products would not be as effective if you do not follow through with the suggested application method. 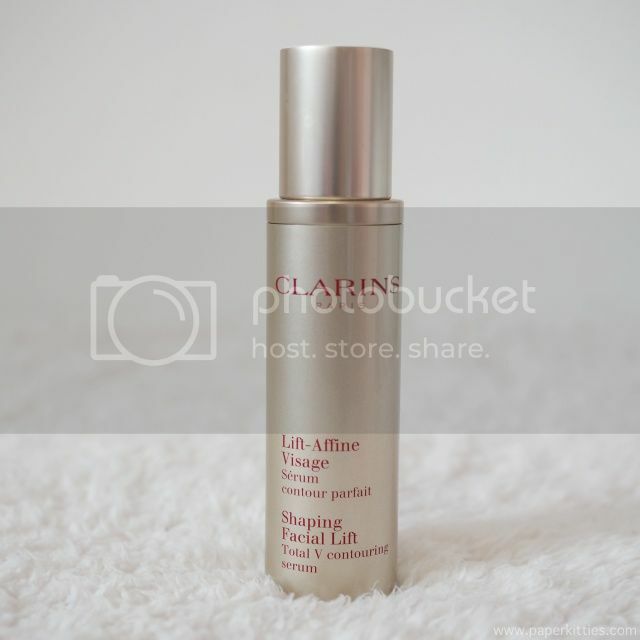 And Shaping Facial Lift Total V Contouring Serum is, of course, one of those products where you should adhere to the instructions given. It’s pretty straightforward and takes less than 2 minutes of your time! You can simply follow the instructions shown in the manual with every purchase. It’s really simple and feels quite therapeutic, having a mini time for yourself, despite all the rush in the morning and after a long day. 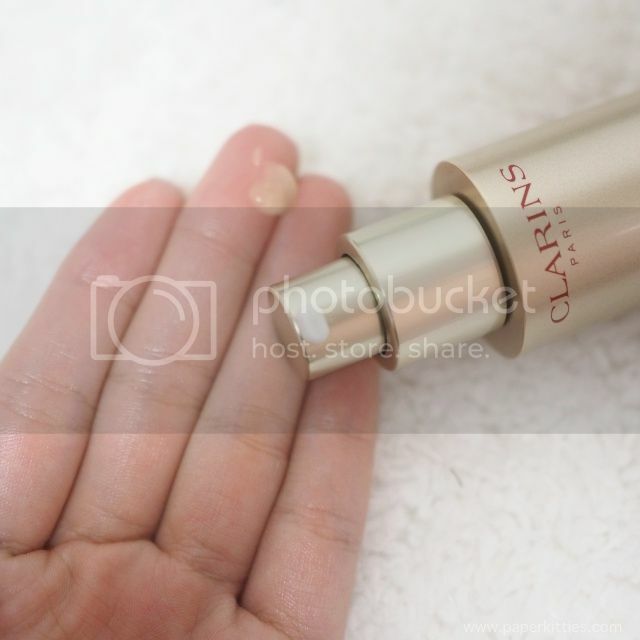 Clarins Enhancing Eye Lift Serum is super lightweight and sinks in immediately which I love! I’m very particular about eye creams as anything too rich will result in milia seeds, which I already have aplenty. I find it very good for those with puffy, droppy eyes (like me) as the results are much more visible too! 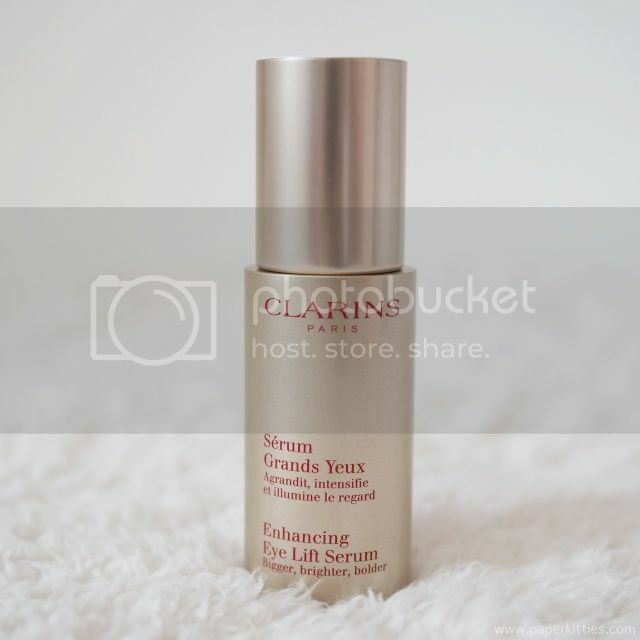 Once again, remember to use the Clarins Manual Auto-Lifting Method by applying this fresh, lightweight serum with pressing motions as seen in my first post for Clarins here! Clarins V-Facial Intensive Wrap has a thick and heavy texture, concentrated with plant extracts, that is effective for absorbing excess water accumulated in one’s face. Simply apply the wrap in a thick layer on the lower part of the face and neck, on clean, dry skin and leave it for 10 minutes. Some may find the texture slightly tricky to apply, my suggestion is to treat yourself with a gelish eye mask (might as well make the best of your time right), before applying the product with a spatula in an inwards position. 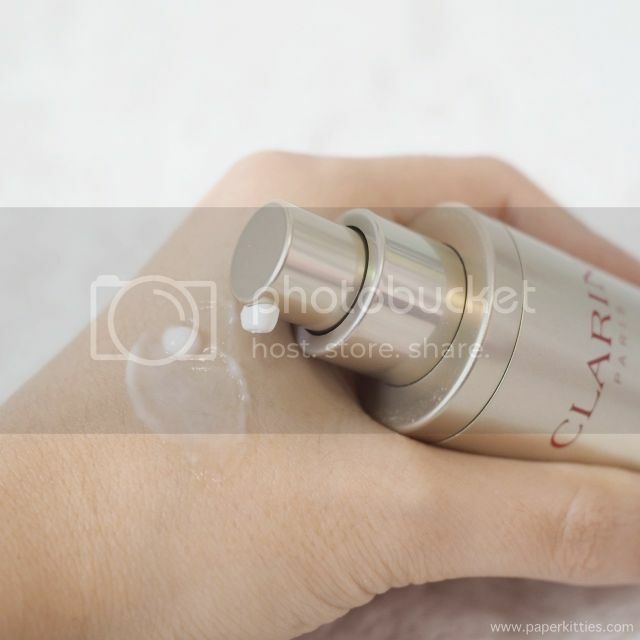 After 5-10 minutes, remove your mask, and carry out the steps in Clarins Manual Auto-Lifting Method as seen above: Place the left elbow in the palm of the right hand and place the chin in the palm of the hand. Gently move your head to the left and back for four times. Repeat steps on the other side before rinsing it with cold water. And voila!